In a hole in the ground there lived...a host with an enterprising spirit and keen eye for design. 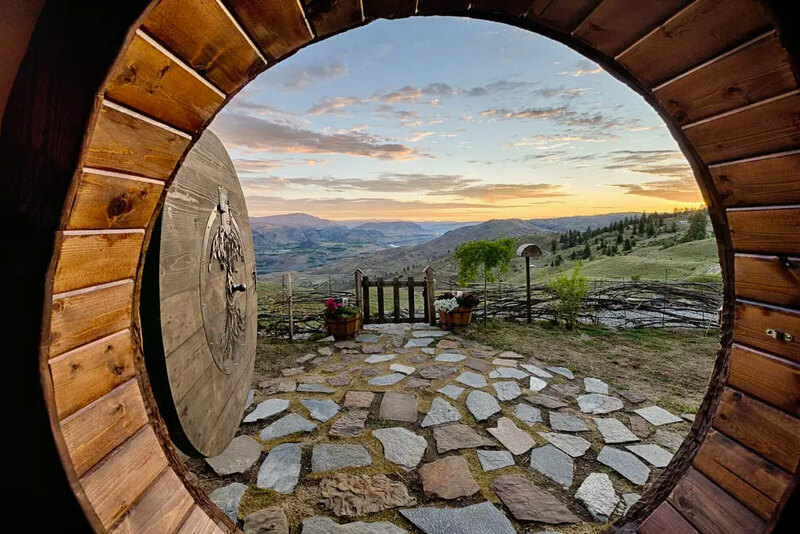 This Hobbit-Hole Cottage, a vacation rental in the Columbia River Gorge region of Washington state, is one of the finest replicas of Tolkien's iconic abodes I've seen. 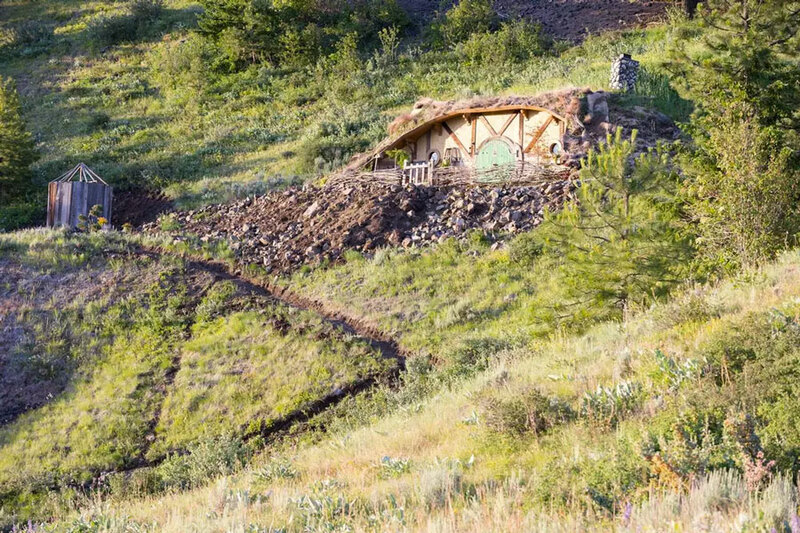 And that includes the Hobbiton built in New Zealand for the Lord of the Rings film series, because you can't even go inside most of those, much less spend a secluded weekend in one. The Hobbit-Hole Cottage has been built into a mountainside amidst the birds and the trees, the deer and the river of Tolkien dreams. Anyone renting one will enjoy complete privacy and isolation from the rest of the human world. 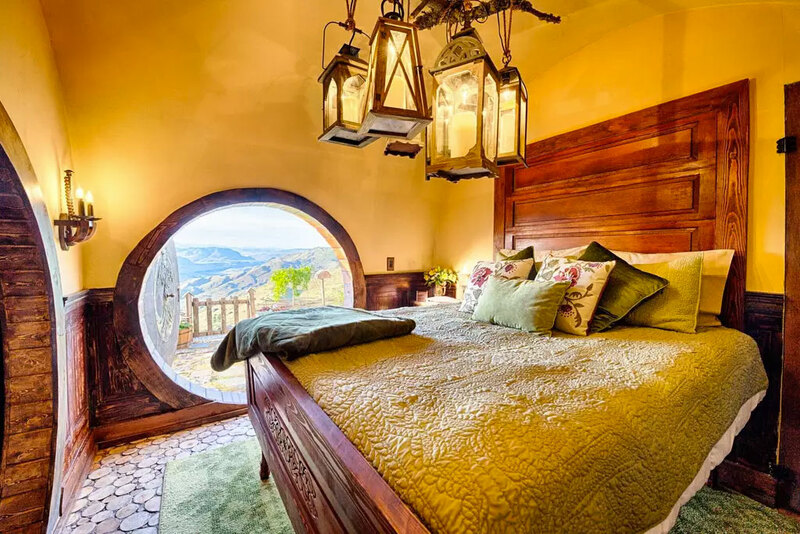 Perhaps the ultimate honeymoon gift for geeks, the rental has 1 queen bedroom, a full bath, and a living area that all keep with the hobbit tradition down to the smallest details. 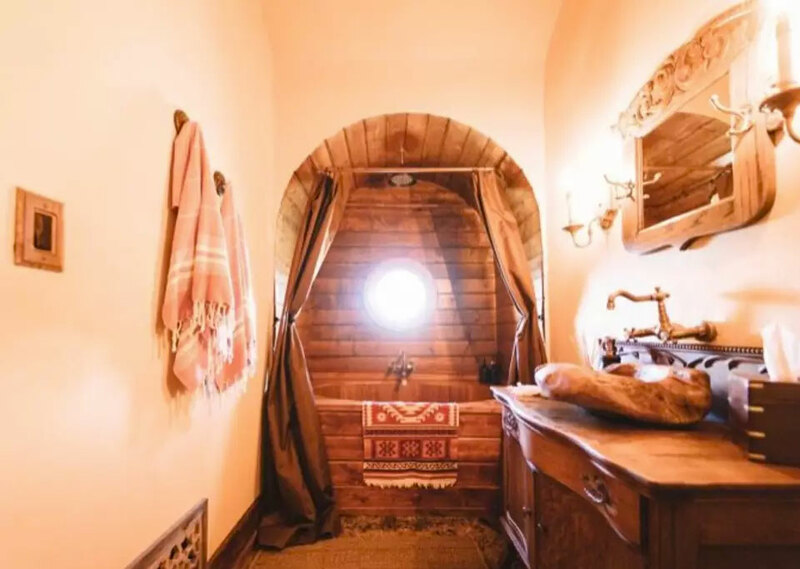 Round doors and doorways throughout, locally made woodworking bench and whittling tools, chest board carved out of a tree trunk. 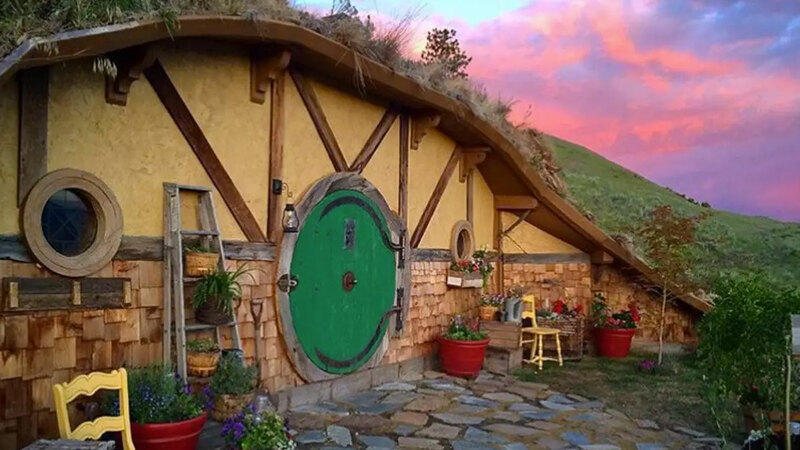 This hobbit-hole's built-in insulation keeps it around 55 degrees year-round. In the summer, you'll probably like that. In the winter, a propane stone fireplace will heat things up. As will the glorious wood shower / bathtub combo. Hobbit-Hole Cottage bookings are available online but, as you might guess, you have to book way in advance to score a stay. 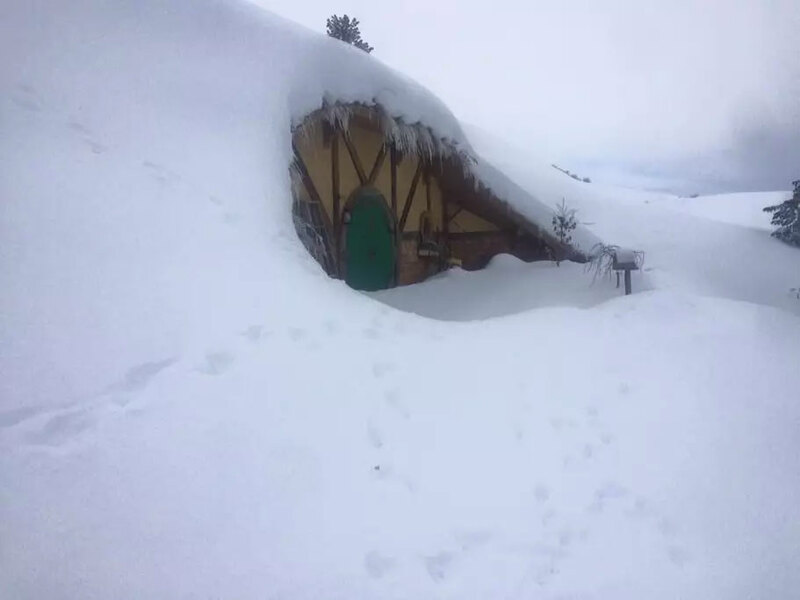 Also keep in mind that if you go in winter, you'll want to drive a vehicle that can handle conditions reflected in that last photo in the Hobbit-Hole image gallery above.